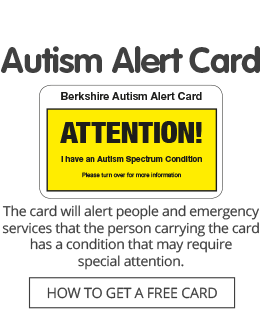 Autism Berkshire has job vacancies for a Helpline Services Supervisor, a Youth Group Leader at our Reading Games Club and a Youth Worker at our Wokingham Youth Group. The Helpline Services Supervisor will manage our Helpline and co-ordinate our Benefits Service, which is expanding to offer additional support. This post is based at our office in Reading and offers 24 hours’ work each week, over four days. Click here for more information about this job and how to make an application. Click here for information about our Helpline and click here for details of the Benefits Service. The Youth Group Leader will oversee the Games Club, which meets fortnightly on the second and fourth Saturdays of each month during school terms, and is responsible for managing two members of staff and volunteer helpers. The Youth Worker in Wokingham will support the group leader and help to supervise children in a range of group and individual activities. Experience working in youth sports and social clubs is preferred. The group meets on the first and third Saturdays of each month during school terms. Click here for more information about the youth group jobs and how to make an application. Click here for more details of our youth groups. The deadline for applications for all three jobs is noon on Friday, October 22. Shortlisting and interviews will take place as soon as possible. Applicants for these jobs must have the right to live and work in the UK and successful candidates will be subject to enhanced Disclosure and Barring Service (DBS) checks, along with other relevant employment checks.